Just as important as how much your backpack should cost, you should always consider the size of your travel backpack before buying. Travel backpacks come in all shapes and sizes, ranging from the 28 liter Timbuk2 Aviator to the 85 liter Deuter Aircontact Pro 70 + 15 Pack. Note: When I use the term ‘travel backpack’, I’m referring to backpacks used for 1 month trips or longer. These are the backpacks you’ll need to live out of. The amount of things you will need for a 1 month trip isn’t all that different from what you’ll need for a 3 year trip. If you’re planning for a 3 week trip or shorter, pick a backpack on the smaller side of the spectrum. 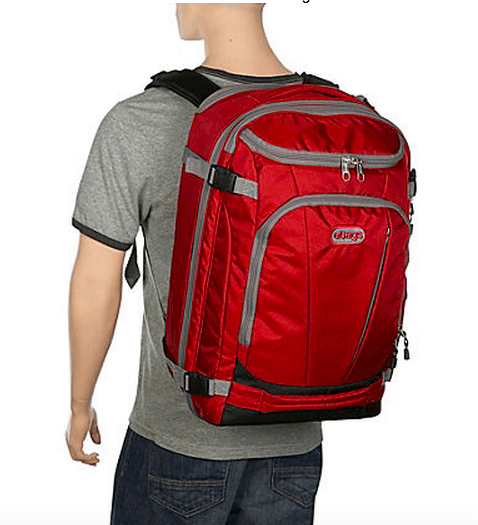 What is the best travel backpack size? My ideal size is between 35 to 55 liters. When traveling long term, you’ll need to take clothes for all seasons, summer, winter, etc. That means you’ll need a backpack which can hold your heaviest winter jacket and your swimwear. You’re going to need enough space to fit all the clothes you’ll need while keeping weight at a minimum. Of course, you can travel with backpacks smaller or larger than my suggested 35 to 55 liters, and I’ve even traveled for 2 weeks with an 18 liter backpack, but that’s another story. Why 35 to 55 liters? After testing a ton of travel backpacks, I’ve come to the conclusion that backpacks within the 35 to 55 liter range have the ideal balance between being compact and still being able to hold all of your things. 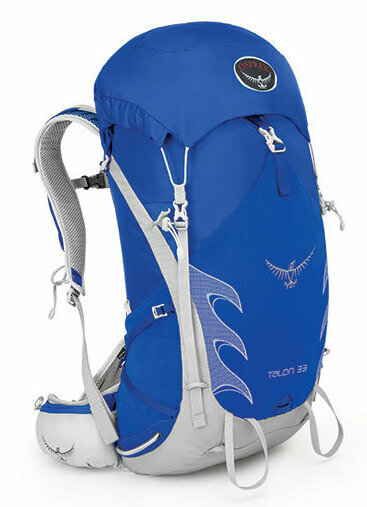 Depending on the shape of your travel backpack, 55 liters is usually the maximum size for a carry on backpack. 55 liters is large enough to hold all of the clothes and gear you’ll need for traveling for months or even years, however it isn’t too big where your backpack will be a hassle to carry or too heavy. 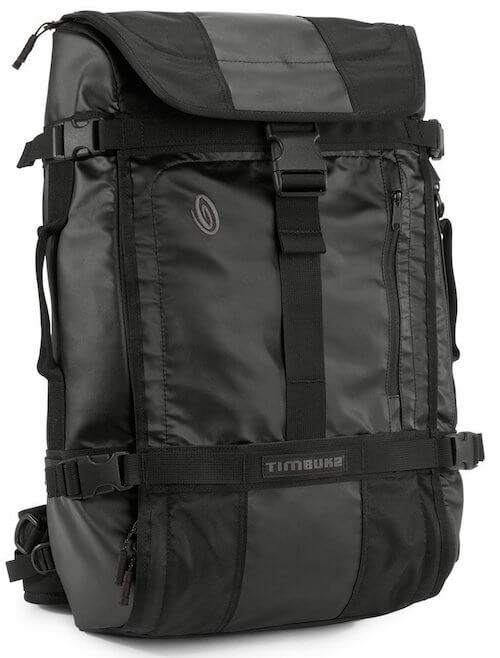 On the other hand 35 liters is what I would consider the smallest sized pack you could travel with long term while taking everything you need to travel comfortably. Anything smaller than 35 liters would be really small and you’d have to take very few clothes and belongings. If you can fit everything you need into less than 35 liters, good for you. I know of several travelers who travel with packs smaller than 35, however they’re only able to take 3 or so outfits which isn’t ideal if you’re planning on staying in one place for an extended time period or want to be ‘presentable’. 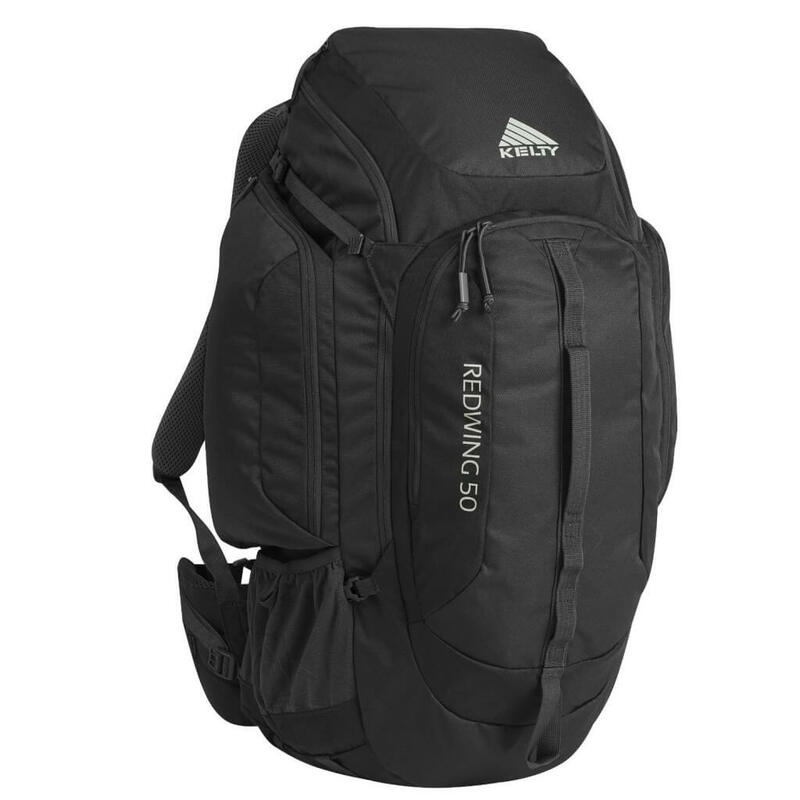 While traveling around the world for 2 years, I used a 50 liter backpack, the Kelty Redwing 50. Travel tip: Buying a smaller backpack can be a win-win-win situation (just make sure it’s big enough for your needs). What does 50 liters look like? While I’m talking about backpacks in terms of liters, it’s hard to visualize just how big a 50 liter backpack or 40 liter backpack looks. 13.2 gallons might sound massive, but it really isn’t. When you consider you’ll be living out of this 13 gallon container for a year, or however long your trip will be, it isn’t that big. 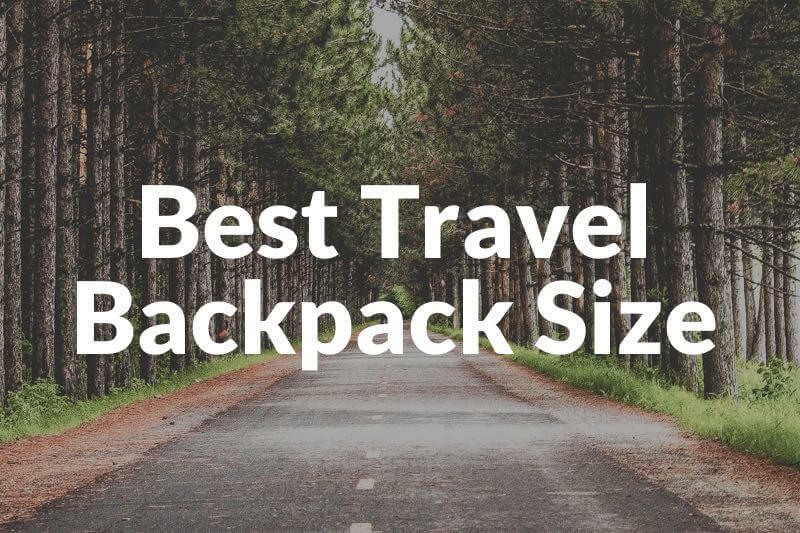 If you’re shorter than 5’3″, lots of big travel backpacks can look massive in comparison to your frame. 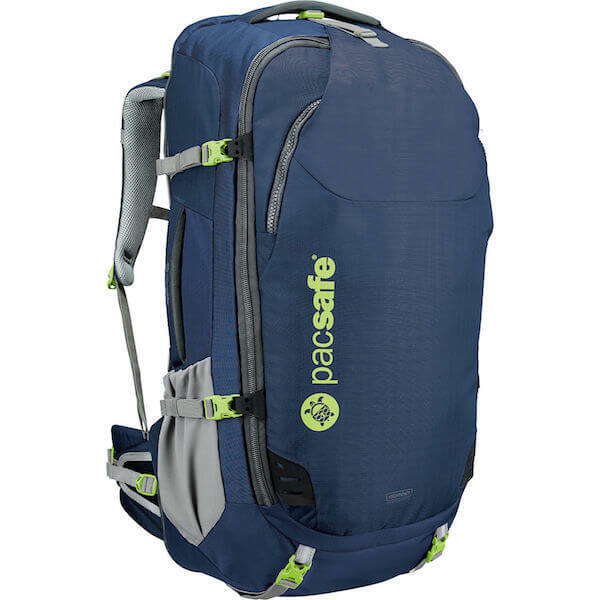 Backpacks like the eBags Mother Lode or the Pacsafe Venturesafe 55l will cover your back completely, which can look weird, although it isn’t a major problem, solely aesthetic. 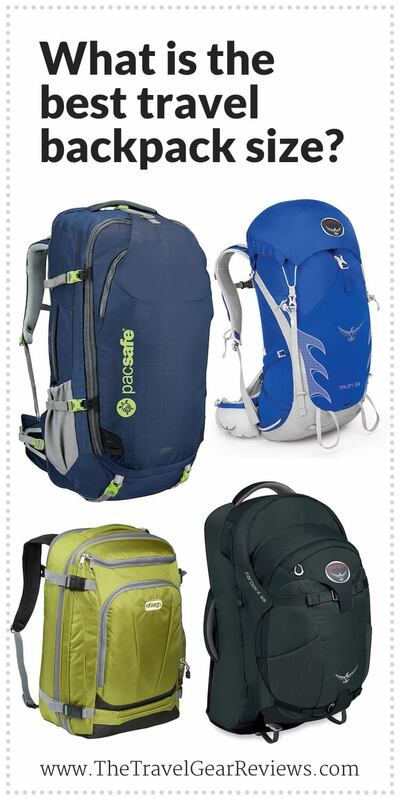 For petite people looking for travel backpacks, 45 liter backpacks or smaller will fit your frame best. I realize this isn’t always feasible for some travelers, but if you want a backpack that doesn’t look like it’s bigger than you, 45 liters or smaller is probably your best bet. As much as ‘travel experts’ preach their travel light doctrine, sometimes there are some things you absolutely have to take with you. When traveling long term, there’s countless important documents which you’ll have to take with you, or certain things you can’t live without. One example for me was when I had to take massive SAT textbook which had 1,000+ pages and weighed about 3.5 pounds. There was no ebook version of it, and in addition I had to take several notebooks for writing out my math problems and essays. If I didn’t take my books, I probably could have used a 40 liter backpack, but that wasn’t an option for me. My ideal size for a travel backpack is somewhere between 35 to 55 liters. I’ve seen that backpacks between 35 liters and 55 liters are portable yet spacious enough to take everything you’ll need for your long term travels. But in the end, do whatever you want. No one knows your needs better than you. 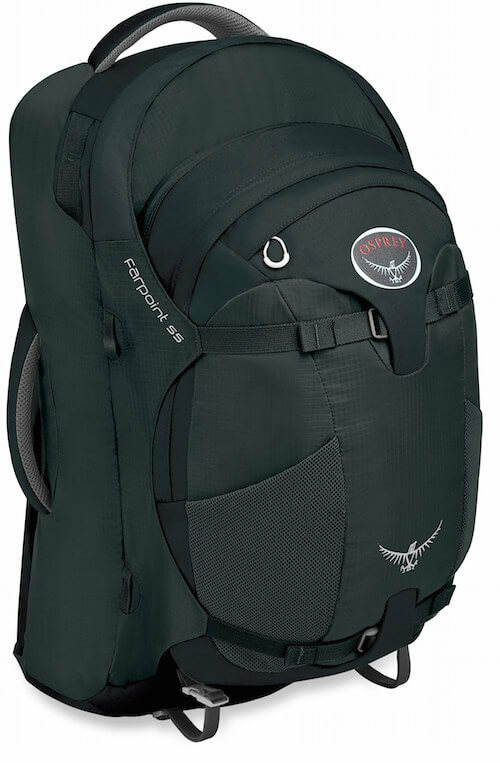 Prior to buying a backpack, you might want to check out some of my travel backpack reviews. What’s your ideal travel backpack size? Leave a comment below. There’s a bunch of affiliate links in this best travel backpack size article, most going to Amazon.com and some to eBags.com. This means we get commission if you decide to make a purchase, at no additional cost to you. This helps to fund the site. 🙂 Find out more about me and this site here. Thanks for the tips! I really like the look of the fairpoint 55. No problem! 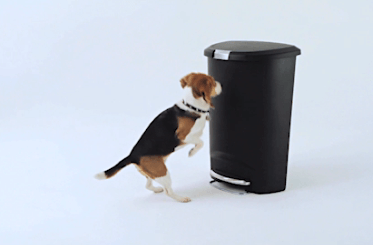 Yes, the Fairpoint is a great pack. Actually for me, backpack size depends on the travel duration. You mention here some cool tips that will really help newbies to choose a right size travel backpack to make their trip more convenient. Thanks for the comment. True – backpack size depends on your travel duration. I mentioned in the post that I was referring to one month trips and longer. When I use the term ‘travel backpack’, I’m referring to backpacks used for 1 month trips or longer. These are the backpacks you’ll need to live out of. The amount of things you will need for a 1 month trip isn’t all that different from what you’ll need for a 3 year trip. If you’re planning for a 3 week trip or shorter, pick a backpack on the smaller side of the spectrum. The backpack is so important and crucial! These tips were very helpful!